TeraPlot provides various forms of High-Low-Close(HLC) and Open-High-Low-Close(OHLC) plot types for plotting financial data. 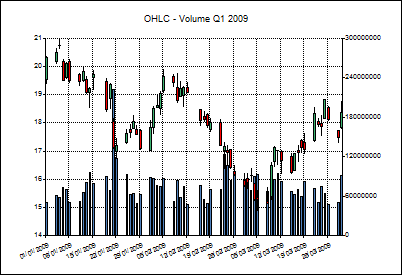 These include HLC, HLC-Volume, OHLC, OHLC-Volume, OHLC Candlestick, and OHLC Candlestick-Volume The most convenient way to create the plot types is via the Financial Data Graph Wizard. 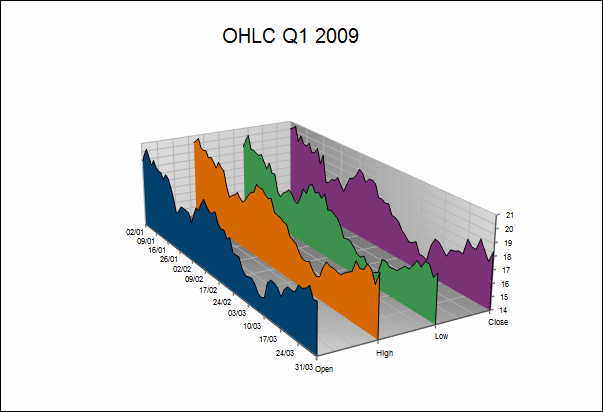 In addition, the financial data graph wizard also has 3D versions of the High-Low-Close and Open-High-Low-Close plots using either 3D bars or sheets. The figures below show some typical examples. 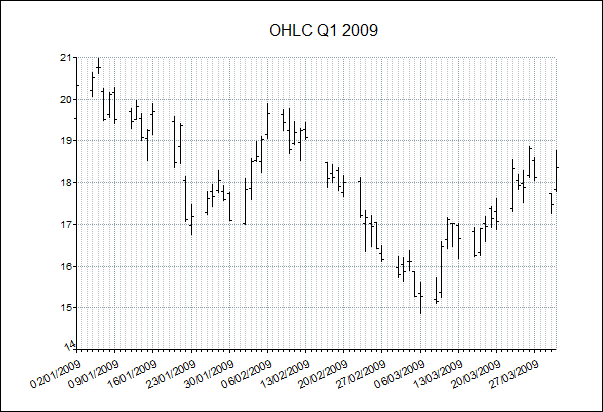 Standard Open-High-Low-Close plot of price variation over a quarter. 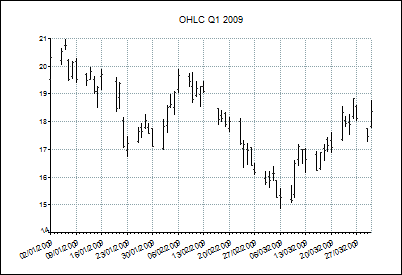 Open-High-Low-Close data over a quarter represented as 3D sheets. Open-High-Low-Close data over a quarter represented as 3D bars. 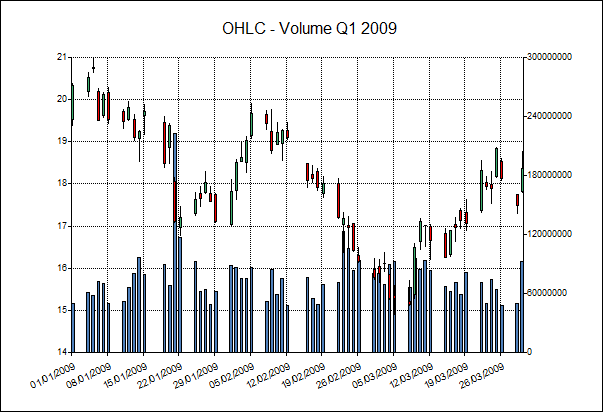 Open-High-Low-Close-Volume Candlestick plot of price variation over a quarter.